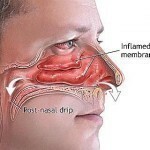 To get rid of sinusitis, being aware of what causes it is essential. With the right approach treatment and prevention can be done more proficiently. Almost invariably, some form of infection is the cause. Bacteria are the most common sources and affect those with a weak immune system. Aside from bacteria, fungi can bring it about. People who are already sick become more susceptible and may undergo throbbing or even chronic pain. Sometimes the cause may be due to food allergy. If this is the case, identifying them will be necessary. In some cases, dental fractures may cause it. This doesn’t happen often, but it is possible. Because it is very similar to cold, knowing the patient’s medical history is necessary. The first sign is usually a cold. But unlike normal cold it will remain for several days. It’ll be accompanied by a dull or throbbing headache. The fluid from the nose turns into yellowish green. In some cases there is severe pain with the jaw. There is also discomfort at the upper teeth area. Another sign is a sore throat. The headache may be constant or intermittent. There is some pain between the eyes. Some also feel an ache in the ear and a feeling that it’s full or blocked. Children and young adults also suffer from an upset stomach. Sometimes there is fever. But this is rare in cases of chronic sinusitis. Diagnosing can be difficult. 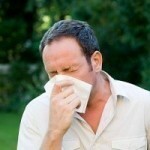 As can be the seen, the signs are very similar to that of the common cold. However you can suspect that it’s sinusitis if the cold lasts more than a week. This isn’t always the case so it’s best to see a doctor if the symptoms persist. There are several ways to verify if it’s sinusitis. An X-ray or CT scan are the usual evaluation methods. The doctor will also assess the symptoms you exhibit. Besides the symptoms mentioned, you’ll be asked if there had been any coughing episodes. Other indications are nasal congestion and pain in the back. For acute sinusitis, antibiotics are the best cure. Treatment includes cephalosporins and amoxicillin. Decongestants and nose sprays can also be used. Nose spray can also reduce the pain. Two of the most commonly used medications are acetaminophen and ibuprofen. Antibiotics are also used to treat chronic sinusitis. Fungal sinusitis requires surgery. In addition, amphotericin B will be given to the patient as well. In some cases, acupuncture has been used to treat the ailment. To strengthen your immune system, take vitamins. A, C and E are recommended. If there’s pain apply hot and cold compress over the area. Apply them alternately with cold being last. You should also avoid going too deep in swimming pools. It’s best to lessen exposure to cigarette smoke. Although sinus pain can be very uncomfortable, it can be treated. Aside from taking the right medication, good personal hygiene fortifies your immune system. Combined it’ll give you the strength necessary to keep this ailment at bay.